I’ve seen Alex Gibney be called the “Ron Howard of documentary filmmaking” on numerous occasions over the last few years, with the release of popular and acclaimed docs like The Armstrong Lie (2013), We Steal Secrets: The Story of Wikileaks (2013), and his latest Steve Jobs: The Man in the Machine (2015). This title refers to the prolific nature of both filmmakers, and the inevitability of occasional dips in quality and inconsistency. Both Gibney and Howard have masterpieces and hugely popular films, but both men have also rushed projects or been overly ambitious, resulting in occasionally light, fluffy, or sloppy films being made. With this said, Gibney is still easily one of the best, most unique voices in the game, and one of the best documentary filmmakers of the 21st century so far. His films have made a tremendous impact on the documentary world, and on the cultural zeitgeist of our time. No matter what the reaction to Gibney’s project are, I’m always excited to check out anything with his named attached to it. Alex Gibney’s first major breakthrough in the world of documentary films came with his 2005 film, Enron: The Smartest Guys in the Room. 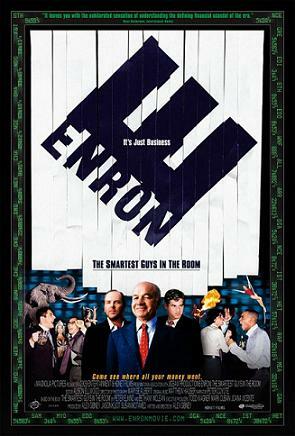 The film made Gibney famous because of how concise it was, giving audiences an overview of Enron as a company, what went wrong, and who exactly was response for the downfall of a company many thought was too big to fail. Not only is the film concise in its delivery of information, but it manages to be incredibly entertaining (especially for the subject matter) and in the process pulls no punches. Gibney’s voice as a documentarian was born with Enron: The Smartest Guys in the Room, quickly making him a commodity in the world of film, and earning him his very first Academy Award nomination. Enron: The Smartest Guys in the Room gives a profile on Kenneth Lay, Jeffrey Skilling, Andrew Fastow, and the rest of those responsible for the goings-on within the Enron Corporation, a major American energy company through the 1990’s and early 2000’s. The film covers the stock market bluffs, the controversial ‘rank and yank’ firing system used by the company, the manic CEO’s and executives, misreporting of finances, and Enron’s role in the California energy crisis. No stone goes unturned, and nobody involved in the quick downfall of the company is safe from the film’s scrutiny. In less than two hours, Enron: The Smartest Guys in the Room manages to deliver more shocking facts, interviews, and entertainment than most modern documentaries could ever hope to do. The film is edited very sharply, never pausing for too long on any particular subject, but never simply glossing over major moments or figures. Even those with no prior knowledge of the Enron Corporation or the energy industry of 1990’s America will easily be able to keep up with the film and get a lot out of it. The music, interviews, video clips, and photographs used throughout the film help move the narrative along, and give you an accurate picture of the times and what was going on at Enron at any given time. Audio recordings and first-hand accounts of what was going on in and outside of the corporation are riveting, shocking, and incredibly revealing. Alex Gibney’s Oscar-nominated film does everything it aims to do, and it does it in a very natural, painless way. When the film’s end credits roll, you will be left infuriated at what took place within the company, and what could have been had such rampant and epic corruption taken place. In short, Enron: The Smartest Guys in the Room will move you in ways that you’ll never expect, and have you coming back for more. This film is highly recommended to all, no matter how interested you may be in the subject matter. Coming just one year after Alex Gibney won an Academy Award for Best Documentary Feature for 2007’s Taxi to the Dark Side, Gonzo: The Life and Work of Dr. Hunter S. Thompson became Gibney’s first major production to tackle just one single subject. 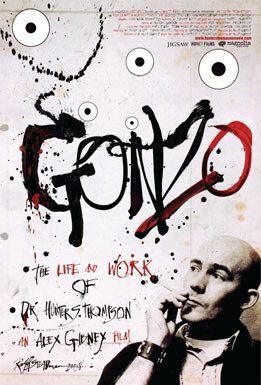 Gonzo tells the story of rock star journalist and writer Hunter S. Thompson, specifically detailing the years between 1965-1975. It was during this time that Thompson became a cultural icon for his writings on the Hell’s Angels motorcycle club, the hippy movement and counterculture of the late-1960’s, his hatred for US President Richard Nixon, his backing of Democratic nominee George McGovern, the birth of “gonzo” journalism and the publishing of Fear and Loathing in Las Vegas. Gibney’s film paints a detailed picture of the time period and features a tremendous amount of interviews by those close to the writer, who help give accounts and paint what kind of person Thompson was. We hear stories of his rampant alcoholism and battle with drug addiction, his thoughts on American politics and culture of the time, original music by Thompson himself, his infatuation with fame and fortune, and the events and mood leading to his suicide years later. If you’re like me and know next-to-nothing about Hunter S. Thompson, Gonzo: The Life and Work of Dr. Hunter S. Thompson may not be the most effective place to start learning about the cult writer and cultural icon. Though the film is fun to watch unfold due to the chaotic nature of its editing and use of music and sound, the loving interviews, the terrific narration by Johnny Depp, and the amount of archival footage and recordings of Hunter S. Thompson himself, when it ended I felt nothing at all. This nothingness is the worst possible feeling after watching a clearly lovingly crafted and well-made documentary for two hours. I felt as if I learned nothing about who Hunter S. Thompson was as a person, what shaped him and influenced him as a writer, what fueled the fires that led to his passionate views, and what lead to his reliance on drugs and alcohol, how it affected his day-to-day life, and how it led to his eventual suicide. Instead, I was taken on a journey detailing Hunter’s drug-use, his support and hatred for politicians of the era, and the zany adventures that inspired his famous musings, articles, and books. Unfortunately, none of these topics were particularly interesting to me, as they had no real impact due to my not understanding Hunter S. Thompson as a person. I appreciated many aspects of Gibney’s Gonzo, but was left cold and terribly disappointed in the end. I wish I didn’t have to say it, but Gonzo: The Life and Work of Dr. Hunter S. Thompson is the biggest disappointed of Doctober 2015 thus far, and is a project that had an incredible amount of potential. For those interested in an introduction to the subject or Alex Gibney completionists, it’s mildly recommended, but made no real impact on me. Taxi to the Dark Side is Alex Gibney’s Academy Award-winning documentary, released in 2007 and playing an important role in the discussion of America’s use of torture methods to get information out of international terrorist suspects. The film made Alex Gibney a name to watch in the game, coming just two years after his highly successful Enron: The Smartest Guys in the Room. Those two films, coupled with the Academy Award win cemented Gibney’s status as one of the most important documentarian’s of the decade, and has resulted in him directed more than a dozen documentaries since their release. Taxi to the Dark Side tells the tragic story of Dilawar, an Afghan taxi driver, who was detained by the forces in Afghanistan, and ended up being found dead less than one week later. The death – and others like it – was later investigated and ended up producing truly shocking, disgusting information about the use of assault, sensory deprivation, and humiliation. 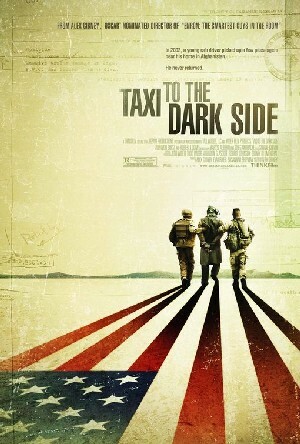 Taxi to the Dark Side exposes the soldiers and officials who are to blame for the senseless killings of prisoners, and delves into the controversial methods employed by American special forces in the “War on Terror”. Officers and soldiers who were stationed in the Afghanistan and played a role in the killing of Dilawar and other prisoners are interviewed by Gibney, with many of them giving honest accounts and admitting to their roles. There’s no wonder Alex Gibney won an Academy Award for Best Documentary so soon into his directing career, with films like this and Enron exposing the horrible things humans are capable of when there is lack of oversight or effective leadership in place. Taxi to the Dark Side genuinely shocked me with its accounts of torture, inefficiency in the foreign prison system, and the photos coupled with true reports and accounts of the incidents. Gibney and the officers tell horrifying stories of sleep and sensory deprivation through the use of music and noise (dogs barking, screaming, etc. ), alternating heat and cold, and extreme sexual humiliation. Other accounts tell of officers destroying the legs of a prisoner by repeating kneeing and kicking, and how many officers saw humor in what they were doing. Not only does Gibney confront and expose those directly involved in the senseless killings, but also the government officials in the Bush administration who supported and saw the necessity of torture of suspected terrorists. Even though he may be inconsistent at the best of times, Alex Gibney knows how to put a documentary together concisely, giving the important information – but never spoon-feeding the audience. The film runs at a smooth pace, and never pulls any punches about its subject. The accounts are incredibly in-depth, and as a result are never easy to listen to or watch unfold. This is what makes Gibney’s Oscar-winner such an important piece of work, and what makes it a terrific and revealing film. Without filmmakers like Gibney who are willing to expose incidents and those responsible for these incidents, then the world would be oblivious to these needless tragedies. This is a documentary that you need to see, whether or not you agree with the idea of torture to obtain information. Taxi to the Dark Side comes highly recommended, and might be Gibney’s masterpiece.